IN-STeP recently received the great news that our ‘New Beginnings’ program will be funded in 2018-19 by the Queensland Government. 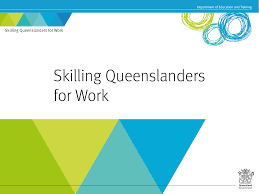 Our new program under the Skilling Queenslanders for Work initiative offers more training options, greater skill development and job search assistance. Our Accredited training options include Certificate III in Community Services or Certificate III in Business Administration, with our focus on providing candidates with new employment opportunities and skill sets for their future. Skills will include; Effective job searching, Mentoring and Support, Resume Preparation and Writing, Job Search Advice, Interview Skills and assistance with Driving Lessons. The program runs over 12 weeks, starting on 6th August 2018. With 3 intakes, 14th August, 28th August and 4th March 2019 and 12 positions available at each intake, we recommended you get in quick.